Whether passive income exists is an age old debate, which in my opinion will never be resolved. It all comes down to our individual definitions of the term. Without “duking” out whose definition is more accurate, here are my top 5 favorite passive income avenues. No matter how you define passive income, each of these has some characteristics that I am positive will meet your definition as well. Didn’t we all wish we had a rich uncle who loved us so much that he decided to name us the beneficiary of his entire estate? It only happens in movies from my recollection, but this is by far the quickest and easiest way to benefit from a passive cash windfall. All jokes aside, though massive inheritance cases are far and few, inheritances ‘happen’ everyday to all kinds of people in all corners of the world. The beauty of it is that YOU DO NOT have to create the initial capital needed to benefit from the passive income stream. I like this avenue because it not only provides a nice passive stream of income, but also protects your hard earned capital over the years, months, weeks, minutes or seconds (if you inherited it I suppose). As long as your money is protected or insured (example: FDIC insurance in the USA for up to $250,000 per account or RBI – Reserve Bank of India insurance up to $1M on foreign deposits), you can sleep well at night knowing your cash is safe and earning interest income. Of course, the historically low rates in the USA are not helping right now, but if you are in a country that pays in the double digit interest rate margin, you may be profiting nicely from this scheme. I just hope your country’s inflation is not as high or higher as well. The challenge in capitalizing from this passive income stream is obvious. You need to build a capital base first on which you can earn the income. This one always intrigues me. I wished I had the genius to come up with an idea / patent and license it out in exchange for royalties. Either that or starting a burger joint like “In and Out” that blows people’s mind with their “secret sauce” so that I can franchise the concept and collect on franchisor fees. Unfortunately, I have neither going on for me, and that is why this one made it to my list of top 5 favorite, but not my list of the top 5 of MY highest passive income earners. This is one I currently capitalize on and enjoy a lot. I like the cash flow I receive monthly, the equity I build with each passing month (mortgage balance is reduced over time), the potential long term appreciation of the property and the short term tax benefits from depreciation and what have you. The challenge here is that you must understand real estate investing, and execute it to where you have investment property that generates passive income. Similar to accumulating a capital base on which to earn interest, this endeavor can also initially be capital intensive. You can’t deny it, but you GOTTA love this one. Aside from a fat inheritance, what other platform allows you to create something (a lot of things) from nothing? With a mere $10 investment in a domain name and another $20 in hosting, you can be flying with the pigs. There are so many ways to monetize your website or blog online. I currently capitalize from at least seven different income streams from my portfolio of niche websites. I generate profits from private advertisement, public ads such as Google Adsense, sales of my digital products such as e-books, lead generation and referrals, affiliate commissions and a few others. The success of my websites and blog have also led to several one on one coaching and consulting type gigs, with both individuals and small companies. The experience has truly been rewarding and I really enjoy this passive income avenue. But is this avenue truly passive? Not in the beginning, no way. You can toil for years before the fruits of your labor start paying off. From personal experience, once it starts raining, it pours. And the beauty is that it pours harder automatically on its own with each passing day, week, month, year. I am not a trust fund baby. I have not yet and do not anticipate benefiting from an inheritance. That said, I have managed to amass a decent amount of cash on which I am generating a solid passive interest income stream. I don’t think anything can get any more passive than inheriting wealth (maybe finding a stash of cash on the street can be), but aside from that unlikely scenario, interest income on your savings is the epitome of passive income in my humble opinion. If you are wondering why dividend investing is not part of my list, I don’t particularly rank that avenue as high as these five because of the risk / uncertainty component attached to it. That said, a portfolio built carefully to yield dividend income can provide a nice trickle of passive income over time. Anyway, these are five solid passive income avenues, which are my favorite, but not necessarily my 5 top earning passive income streams. Perhaps in my next post I can talk about my personal top 5 earning passive income streams? What about you? What are your favorite passive income avenues? What are your current top passive income earning streams? Even though I do not have any inheritance, I am one of those lucky few who can afford to take voluntary retirement. I got a tidy sum as terminal benefit which I invested in Bank FDRs. So the interest is nice and steady and passive. I also get a pension. Want to know about the icing on the cake? My income from online activity is increasing day by day. I have a house of my own. A part can be rented out………but right now I really don’t need it. But it a possible avenue of passive income. I cannot work on an inheritance, but I have made all my brothers as nominees in my bank deposits. So they may end up getting a passive income if I leave the world suddenly. Nice to get to know you Neil – you do have your house in order! Congratulations to you for a successful set up, as well as the increasing online income. I agree! [email protected] I do not think this should even be on the list as its not a skill that someone can acquire. And most people who inherit money usually loose all of it in a couple years because they do not know how to earn money, they only know how to spend it. Rental Income is a good one..I know about this very well. I have a commercial property right across the street from UCLA, and students pay anything. yes but if you win money from inheritence it does not feel you earnt it. I like working hard for my money it feels like I have earnt it and much more fun spending it, or reinvesting it back into my business. It’s rather funny but truth. Inheritance is a great passive income but unfortunately, I didn’t have the opportunity to enjoy this. The greatest passive income I got was 2 highly trafficked site in the weight loss niche. I actually bought the established site for less than $3000 and today, they are earning me decent income. Thank you for sharing. Congratulations on being able to generate good income from 2 websites. How are each of your sites generating income? How long did it take you to get to where you are at with each? @Chibuzor, nice to know you have websites that generates some income. Could you mention the websites so I and probably other could look at it. I have a website that teach people how to start their own blogs and I make some money throught affiliate programs. I think internet income will be nice for me because inheritance is possible in large families. I guess that we’re all here because we’re going after the shiny last one. It’s all i’ve got and it’s all what i’m going to be after. The low overhead and ease of learning for internet passive income is what I love about this opportunity. No, it isn’t easy. Yes, we have to put a lot of sweat and labor in on the keyboard and with product creation. But, if we take a marathon approach, thinking long term, it becomes easier and more passive over time. I am waiting for my inheritance as well. I know some grandkids who just each got 200k from their grandfathers life insurance policy. Justin – any idea what each of those kids is planning on doing with the 200k? I guess Google Adsense can count as a passive income stream; the only thing is that the amount of money one makes from that is dependent on how much traffic one gets. And how much traffic one gets is mostly dependent on how much one writes, so if I was to stop blogging, the money would eventually stop flowing. 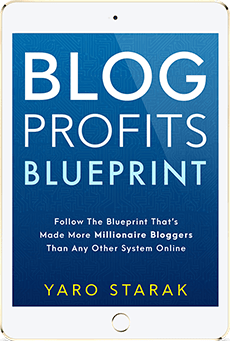 I think Yaro had it right when he recursive affiliate income was the best online money making option. 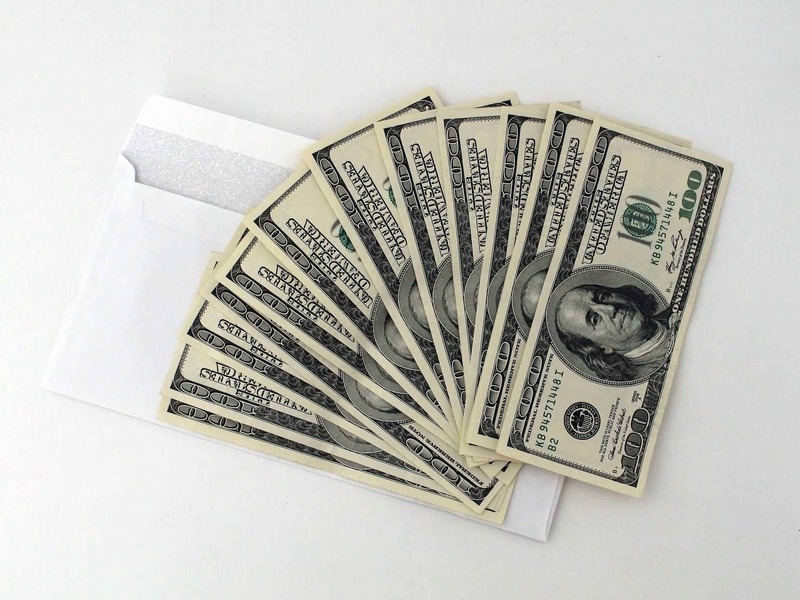 Josh – companies that pay on a residual basis are definitely the preferred ones, especially when they are also passive. “recursive” income is predicated on the consumer continuing to use the product for you (the referrer) to benefit from the commission. adsense like you said is predicated on traffic, which you can grow to a certain extent by adding content, and provided your website is optimized and marketed well, the traffic level should hold, thus making adsense “recursive” and “passive” in the long run, no? I am currently supplementing my modest government pension with three of those, especially rental income and AdSense plus webmaster fees, and the beauty of it all is the many tax deductions you get, including trips to exotic places to attend seminars, car expenses, part of your phone, internet, etc. The result is I live quite well and I pay no income tax — though I’m looking forward to the day when my website will earn enough to pay the taxman! I find rental income as a very secure medium of passive income. Besides this i would like to know if you could provide some information on how to monetize my website or blog. Abhishek – rental income is certain great. What I like best about it is the tangible underlying asset which fulfills a physical need in the marketplace. The underlying asset also appreciates with time. Once you have one going, it is relatively easy to parlay that into another, and then another. I blog about specific ways to monetize websites and blogs on my personal blog, I’d love to hear your thoughts and answer any specific questions you may have. I think income from internet is the best method for me…because i have a lot of option in that…specially affiliate marketing…. I think the inheritance one is the best out of all if only i had it. I know I know – is there even a slight chance for you or have you totally lost out on it? no surprises? I know inheritance seems very nice and the easiest way to get some easy money but I think you forget that when you inherit from someone it’s usually a parent and you seem to have completely eluded the death and pain dimensions. I just happen to have lost my gread uncle and got some good needed cash but I would very much prefer him to be alive. Passive income is definately the best income to have. Unfortunately the first 4 listed don’t apply to me. I have started working on number 5 and hope to get there asap but I know it will take hard work and time to do so. Another method of getting passive income is to be lucky enough to win the lottery but this is impossible if you don’t enter and your chances of winning are very small. When I see the title of your blog post, I seems immediate thinking about passive income from the Internet, but clicking to read your article, I’m really impressed by this creative post. In fact, I don’t have any rich relative who can leave for me a huge amount of inheritance. So I only think passive income from the Internet. This is one of the best ways to make money with small investment as your said. We just build a website/blog and drive traffic then thinking about making money. That’s great, right? I love your post, Sunil. Thanks for share. I vote inheritance because it is the most passive. Are you anticipating getting a nice gift? Good post mate, I think that internet income can really be a good passive income, well its gonna be starting it for me. Would love to hear more about what you are doing to start the stream flowing Fazal. Care to share? You are right, the aforementioned list can generate some passive income for us. I am personally fortunate enough that I was able to acquire the first one, not that it cost a big amount of fortune or whatsoever but my parents were loving enough that they were able to leave something for me, to say the least, knowing that I am an only child. What they left me gave me the chance to have a good head-start to a life on my own. I was also able to use the house they left for me — for rental. Which you also mentioned. Nevertheless, finding ways to earn a passive income is a wise thing to do. It may not be that easy but it’s all worth it. But we shouldn’t think that this will generate us big amounts of hard cash. I think everything will usually come in small ones and this will grow in time. Blogging, on the other hand, can be also very helpful but yes, you presented it right. It’s not that fast and easy. Everything basically entails putting much hard work and perseverance. Your post is really insightful and practical – something that we can greatly learn from. Thanks Sanil. 🙂 Cheers! You make a great point Florice – we should NOT count on any of these to “go out of the park” per se. Small trickles multiplied over time across various channels add up over time and in fact protect you the most from risk exposure because of the diversity created. If you hit a home run, then so be it! Congratulations to you for having a head start in life. I would certainly love to inheritance a few millions from someone 🙂 but sadly I am not that lucky, for that reason my favorite passive income method (to say the truth it’s not so passive) it’s blogging! I’d like to hear more about what you are doing online, specifically how you are monetizing it. well it sound really strange to me that you listed inheritance as one of the possible incomes. it is obviously but i think we are talking about earning (investment resulting profit). I think among all Internet and rent(real estate) are most relevant today. Only the web and real estate? What about interest income? Do you think earning from the internet or real estate is more passive. Why or Why not? For example you can do Free Podcasts giving interesting valuable information and at the same time (pre) sell interesting products, or have Podcasts that people can listen to on a Membershipsite. Making the Podcasts themselves wouldn’t be totally Passive. The advantage is that when it is made, it can keep on generating sales over and over again making it pretty Passive. Only when you have a Membership site, for people to keep them willing to keep their subscriptions, you do need to frequently provide interesting new content making it less Passive. I love all of your blogs and I have very carefully studied your own blog in particular the niche sites section which is very inspiring. I am a professional writer and would like to set up a series of niche subject sites but I would love to know your answers to the following questions. 1 – Once a content site is built and it has a few backlinks can it more or less be left to generate a passive income? 2 – I hate emailing people and would prefer to earn passive income without the need for ‘a list’ can one still succed without one? 3 – Do you think that Adsense is still a viable income source in the current economic climate or has this form of income dropped? 4 – Can one really earn a good amount of money with a stableful of niche sites and if so what sort of figures are we looking at for sites with a reasonable amount of traffic? Sorry to ask SO many questions but I think I am probably not the only person who would love to know your answers since you have the huge amount of experience we beginners sorely lack. Keep up your great work it is much appreciated! 1 – Once a content site is built and it has a few backlinks can it more or less be left to generate a passive income? 2 – I hate emailing people and would prefer to earn passive income without the need for ‘a list’ can one still succed without one? 3 – Do you think that Adsense is still a viable income source in the current economic climate or has this form of income dropped? I can only speak for #5, but I assume #1 one day will apply, although I rather it didn’t if you know what I mean. I’ve been contemplating getting involved in real estate, but still not sure I want to do that, everyone I know has horrible stories, or at least headaches to deal with that I don’t really want. I know what you mean. What specific factors are keeping you out of real estate? Can you share some horrible stories which you hear recurring-ly? You know that more wealth has been created through real estate globally than anything else? Sure would be nice to win some Inheritance from a rich family member, though I am not aware that I have a rich family member. On my mom’s side of the family though, long ago her great-grandfather won the lottery! But the money relative to today’s terms would not be that much, but for back then it was alot. Sure would be nice to win the lottery though! While we all don’t have the fortune of inheritance, at least i won’t for quite a few years, provided the stock market doesn’t tank. you give some great advise on other ways to make money. Websites are a big way to make money and it isn’t difficult if you follow the basic guidelines. The info is all out there you just have to look. Do you know how much money? Did he take lump sum or installments? What were the taxes like? I think you’re right. With the current financial situation of people all over the world, it would be wise to have at least 2 passive income generators handy. Thanks for the share. Enjoyed the read. Well, I gotta say, this post was not exactly what I thought it would be. Nice to read something real when it comes to passive income – not the usual garbage about “make money doing surveys” and the like. One of my favorite passive income methods: sit back and let the husband earn a living. Thanks SO much for your kind reply – I can’t wait for the blog. As we say in the UK you are a star! If this site is for entrepreneurs, why are you advocating 1) inheritance and 2) FDIC-insured savings accounts? Seriously, dude, entrepreneurs build their own wealth, not inherit it from others. Also, where is the sense in earning a tiny coupon from a savings account? Entrepreneurs take risk and build wealth, and you are LOSING wealth investing money at less than the rate of inflation. And as for 3) royalties – an entrepreneur does not say he wishes he was smart enough to get royalties! Go invent something! Number one should be iPhone Apps. This really is the king of income automation these days. Nice Article.. I think creating some intellectual property and selling it isalso a great way to earn some passive cash. It may be photos, music, videos, books, patents. I am also reading Rich Dad Poor Dad these days. Awesome read!! These are the great passive income ideas. First one comes by luck. Other option such as rental income and franchises we have to invest lot of money. So only Internet income is left our. So I have to work on this option to build a passive income. I guess lot of people have already setup online passive income source. I always believe that dividend is the best source of passive income. But we need to understand that we have to build a proper setup which will start generating dividend. We need to start as soon as possible so that after few month/years passive income will start generating. Either its a share or any other source we have to work hard to make it work for us later. Permission to publish article in FlyMe360 travel magazine. Hi Sunil, referring to the about, we like to check if it’s ok to publish your “My Top 5 Favorite Passive Income Methods” in our magazine with full credit to you as the author and a link back to your blog as well. Do let us know (reply to my email).Thanks. Hello Sunil, regarding franchise opportunities, i’m just found out about Talk Fusion franchise opportunities, they have interesting video conferences product and unique member promotion system. It seems it already going on for several years in the US but still new in Singapore. Which means there are a lot of opportunities for new franchisee in Singapore. I’m always interested in earning more passive income. One thing I did was buy a website and hire someone to run it. I keep a hands-off approach on it and only put in maybe an hour/month. It’s worked out pretty well.